The MyVolts Roland Boutique 5 Way USB Splitter is a versatile power supply unit that allows you to power up to five Roland Boutique units simultaneously. 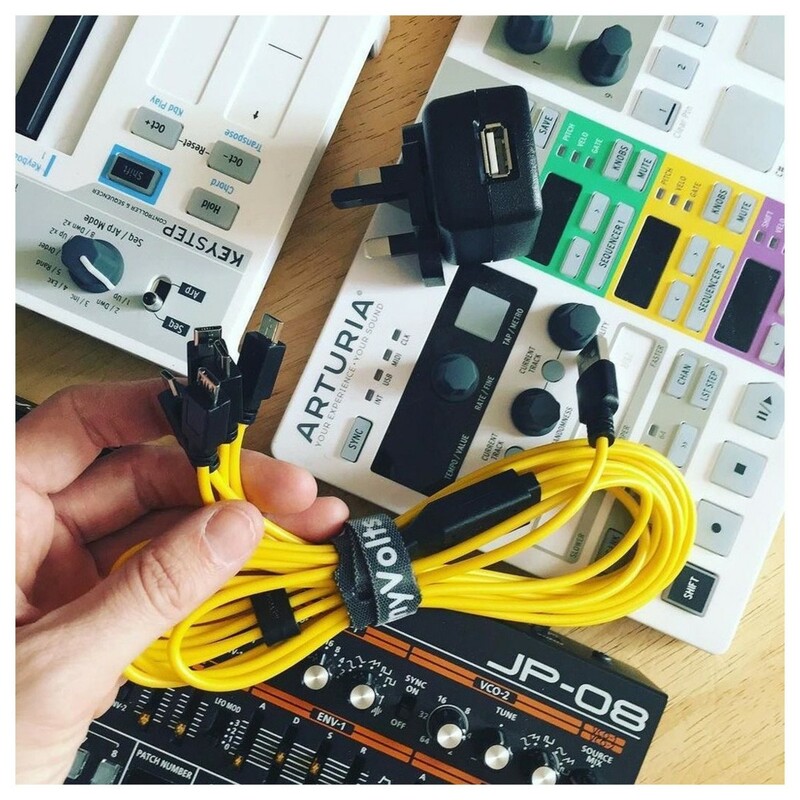 Compatible with the full Roland Boutique Range, the MyVolts USB Splitter powers multiple units from one USB mains power plug. The main cable measures at 1 metre in length and the branded band helps to keep the cables held tightly together. The distinctive yellow cabling makes it easy to see amongst your other cables and it comes complete with a Velcro cable tie for added convenience. Please Note: Images are for reference only, the product DOES NOT include any Roland Boutique units. 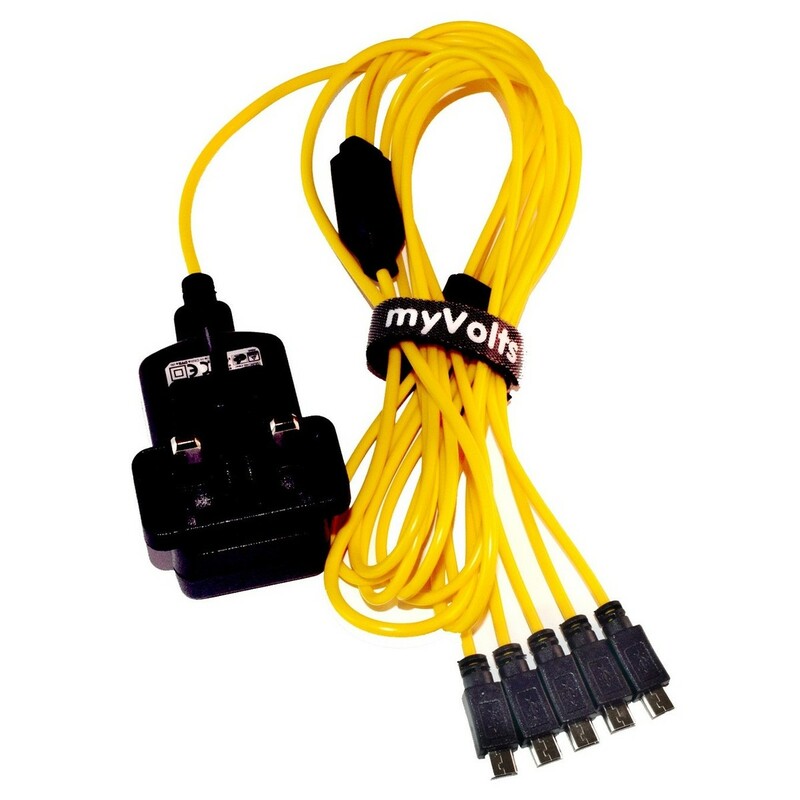 The MyVolts Roland Boutique 5 Way USB Splitter with USB PSU is the perfect power supply for using multiple Roland Boutique units at once. 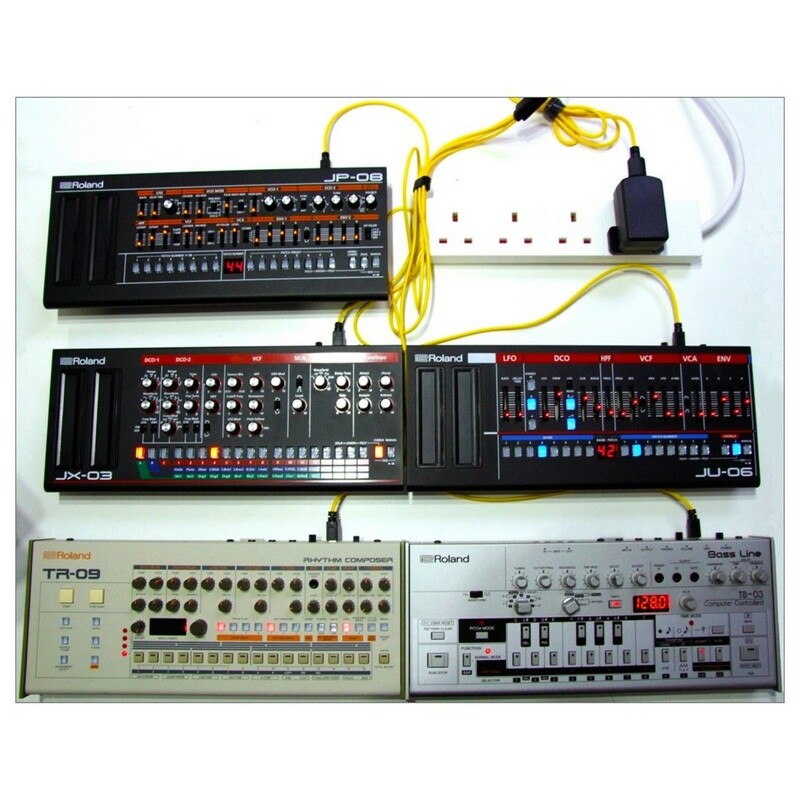 The specialised design works with the full Roland Boutique range including: JX-03, VP-03, TB-03, JP-08, JU-06, TR-09 and A-01. The 5-way splitter design includes a branded band that helps to keep the cables together while in use. Each plug connector measures at 0.7m in length, with the main cable measuring at 1 metre in length.